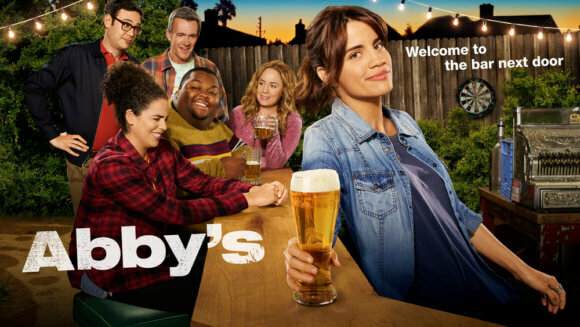 NBC’s set to add the new half-hour comedy series Abby’s to its primetime lineup on March 28, 2019. 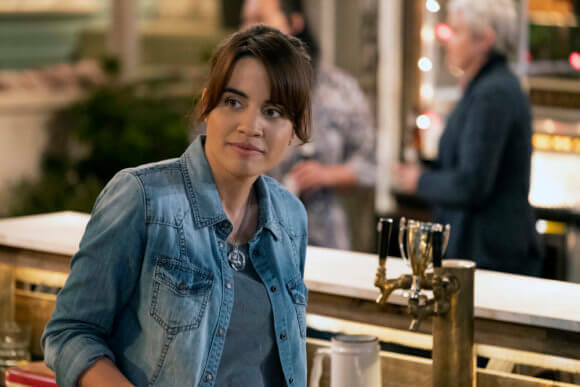 The midseason replacement will air in the Thursdays at 9:30pm ET/PT time slot and stars Natalie Morales (The Grinder, Parks and Recreation) in the title role. 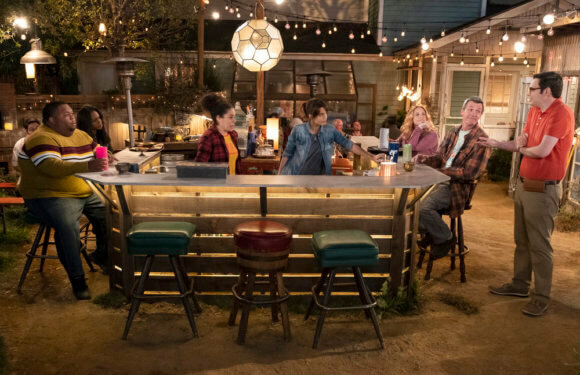 Joining Morales in season one are Kimia Behpoornia (Station 19) as Rosie, Jessica Chaffin (Pitch Perfect 3) as Beth, and Neil Flynn (The Middle) as Fred. Nelson Franklin (Veep) plays Bill and Leonard Ouzts (Master of None) is James. Abby’s focuses on the odd collection of characters who hang out a bar set up in a San Diego backyard. The comedy was created by writer/executive producer Josh Malmuth and has The Good Place and Brooklyn Nine-Nine‘s Michael Schur and David Miner involved as season one executive producers. Malmuth is the series’ showrunner. 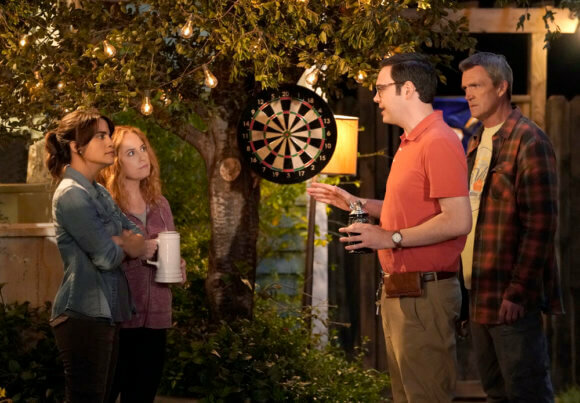 The new NBC series marks the first multi-camera comedy to shoot outdoors in front of a live studio audience. 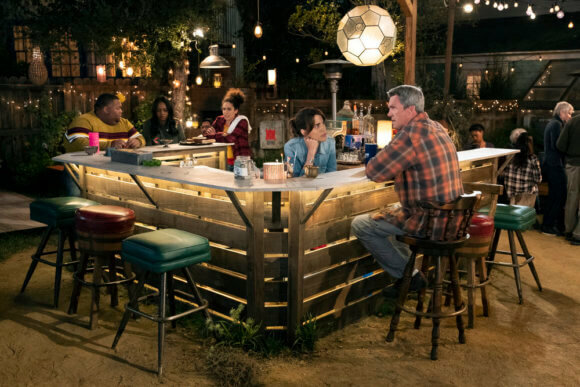 Per NBC’s official plot description: From Michael Schur and Josh Malmuth comes a hilarious new comedy about the best neighborhood bar in San Diego –– home to low prices, good company and, of course, Abby (Morales). This unlicensed, makeshift establishment in Abby’s backyard is the perfect gathering place for locals to find camaraderie and sanctuary. To maintain the perfect bar ecosystem, all patrons must abide by a specific set of rules. This includes no cell phones (not even to look something up), understanding that earning a seat at the bar takes time to rise through the hierarchy and knowing that losing a challenge may have some unpleasant and unpalatable drink-related repercussions. As bar owner, Abby has found her true calling, hosting friends and newcomers alike. No nonsense, Abby is ex-military, having served two tours as a Staff Sergeant in the Marines. Her world is shaken when new landlord Bill (Franklin), who recently inherited the house from his deceased aunt, unexpectedly shows up citing all kinds of reasons why the whole venture is illegal. 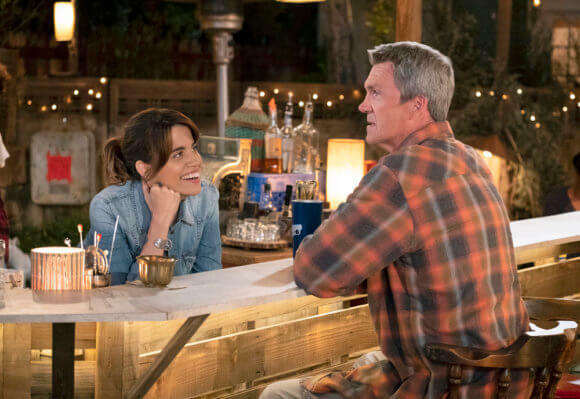 Newly divorced, he is a cautious worrier and definite non-risk-taker who eventually warms to the place and agrees to let the bar remain open, provided Abby makes some changes. The cast of regulars also includes Fred (Flynn), a fixture at the bar who is grateful for a place to enjoy a beer and conversation – and refuses to allow some bureaucratic busybody to disrupt his perfect refuge; Beth (Chaffin), a harried mom living next door who can escape the madness of her home life while still keeping an eye on things from her perch atop a bar stool; Rosie (Behpoornia), the bar manager who prides herself on having memorized all 162 rules and regulations; and James (Ouzts), the gentle scaredy-cat of a bouncer who crumbles in the face of confrontation.